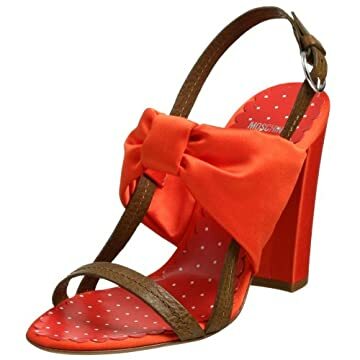 Butterfly from Moschino Cheap and Chic is one of the most unique sandals we've seen. A sparse construction of leather straps is overlapped by a big, bold bow for a look that's bound to garner compliments from every angle. Free shipping in the USA.